You can qualify for less than $0.40! Qualifying satellites are taking place round the clock in the Titan Poker software, starting as low as our ongoing “1 Hand” Stage 3 Sit’N’Go satellites at $0.33 + $0.03. The premier European Poker tournament is taking place once again. The Irish Open 2010 returns to Dublin, Ireland this upcoming April and there is plenty of cash to be won. Come and get your share of Europe’s longest running tournament’s multimillion Euro prize pool. 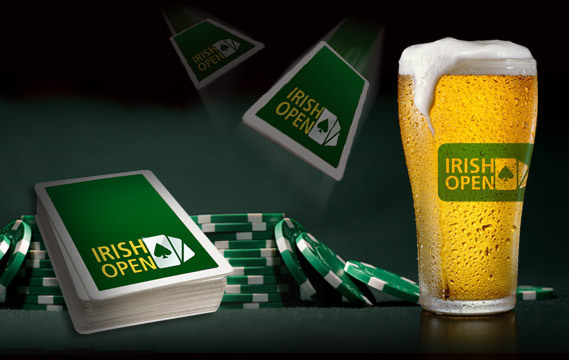 The Irish Open is a big favorite among the professionals and the fans. The location of the tournament is in the heart of the city of Dublin which is world renowned for its friendly atmosphere and welcoming charm. This year, the Irish Open will take place between April 1- April 5, 2010 at the Burlington Hotel in the Dublin City Center. €3,200 + €300 Buy In to the Main Event. €350 for five nights of accommodation including breakfast at the Burlington Hotel in Dublin (March 31st – April 6th, 2010). €100 for an organized party / lounge event. €800 for flights and spending money. Seats can be won to this prestigious event at one of Titan Poker’s ongoing Sit 'N' Go satellites and daily qualifying tournaments. * Buy-in cost: €6.6, 750 chips. * Re-buy cost: €3, 1000 chips. * Add-on cost: €3, 1500 chips. Check our software for the complete 2010 Irish Open satellite schedule. Our sit n' go and scheduled qualifier satellites have buy-ins starting as low as €2 + €0.2.